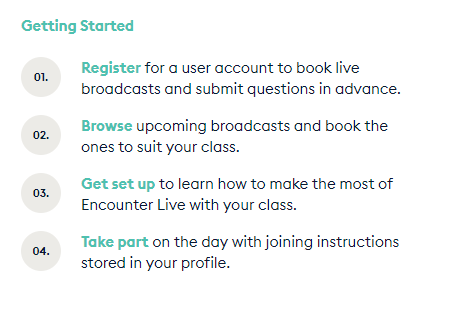 If you haven’t found it already, the Encounter Edu website is packed with videos and interactives allowing you to explore coral reefs, encounter deep sea creatures, sample for microplastics and even visit Svalbard. If you think these resources look familiar, that might be because Encounter Edu is a recent incarnation of AXA XL’s Digital Explorer Oceans Education. Submarine Live is coming up from March 25-29th and the sessions look really interesting. With great investigations for older children on buoyancy, what might appeal to primary age children the most is the chance to talk directly with the Nekton First Descent team on board their research vessel in the Indian Ocean. If you get really inspired, why not sign up for the Arctic expedition from 1st -8th May 2019!